Ukraine International Airlines has taken delivery of another Boeing 737-800, the second aircraft of this type received so far this year. The aircraft, which has been registered as UR-PSN (s.n. 28614/477) made its first flight in January 2000. 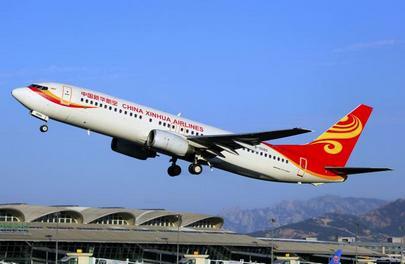 It was previously operated by China Xinhua Airlines, which became part of Grand China Air in 2013. Just like its predecessor, the Boeing features a single-class configuration with 186 seats. It will enter service with the Ukrainian flagship carrier on April 2. The additional capacity will enable the airline to increase frequencies on routes to popular destinations and open up new routes within the summer schedule, UIA’s fleet project manager Yevgeniy Churyumov commented. The Ukrainian carrier has planned to take delivery of six Boeing 737-800s in 2016. The next two aircraft will enter service in early May. The airline earlier announced that by 2018 it intends to phase out all nine of the Boeing 737CLs (-300s and 500s) it currently operates. With the latest acquisition, UIA’s fleet number has reached 33 aircraft. The airline also operates Boeing 767-300ERs and Embraer E190s.